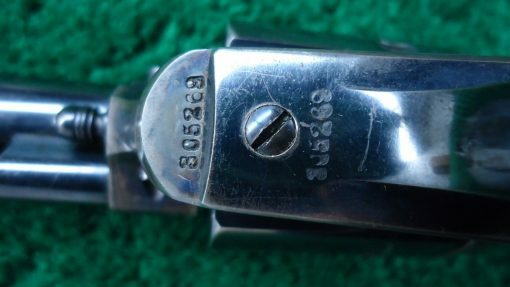 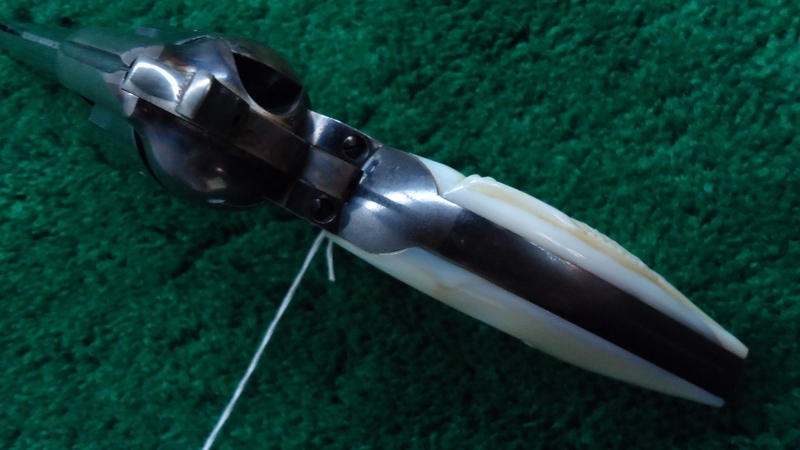 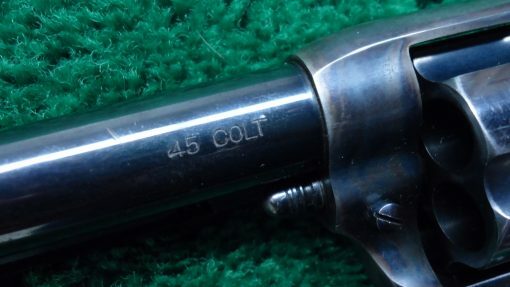 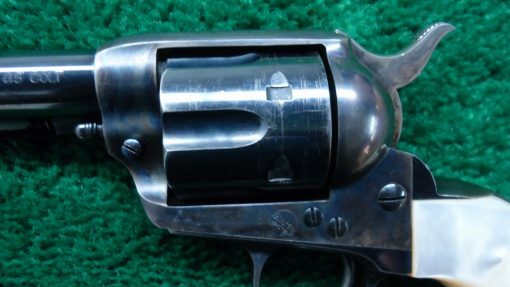 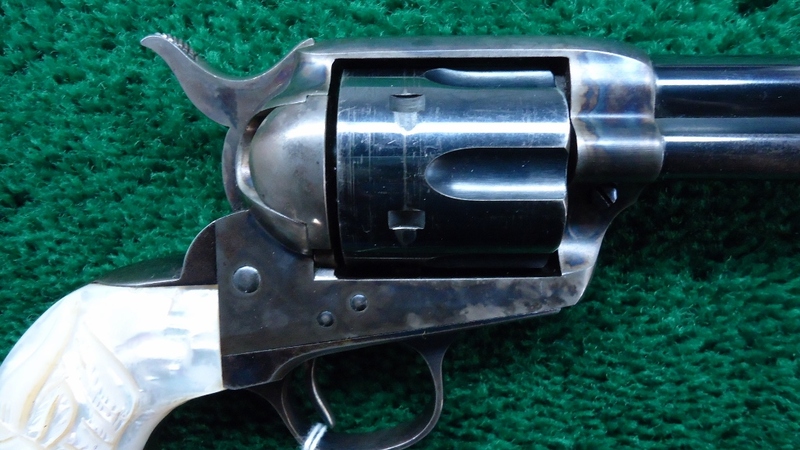 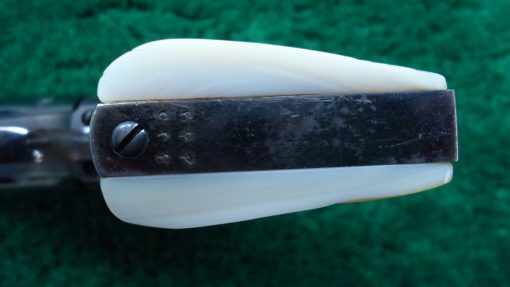 5-1/2 inch barrel in caliber 45 Colt. 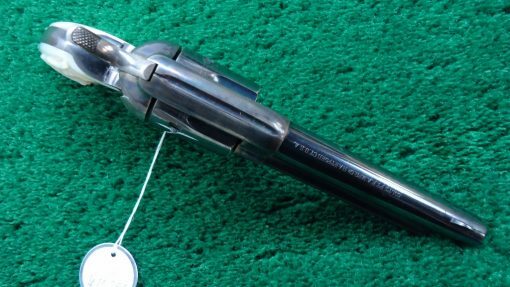 Inside is a beautiful bright shiny bore. 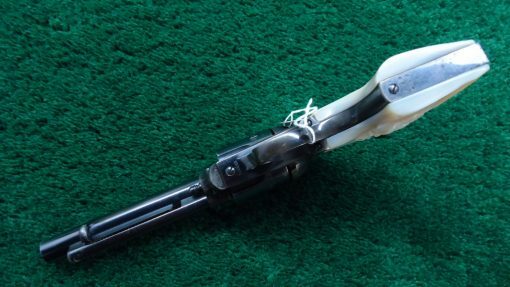 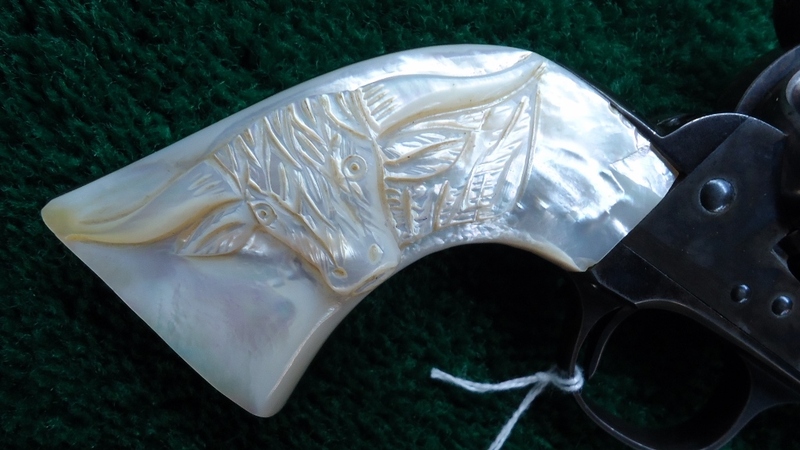 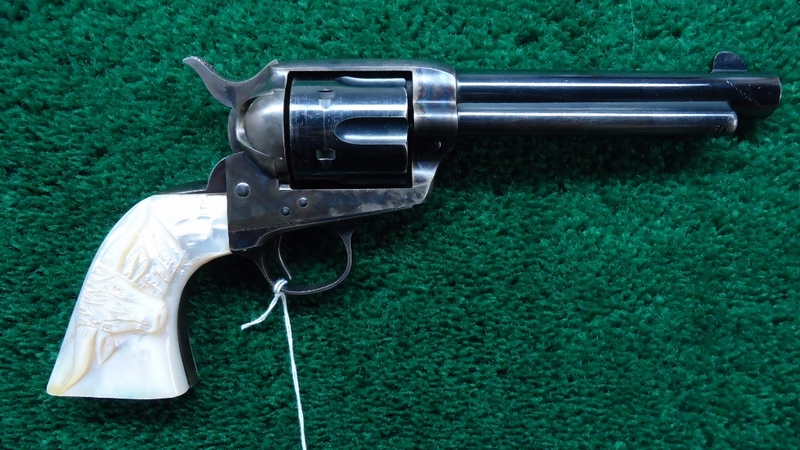 Very good looking Colt with pearl grips and the steer head on the right side. There is a small chip out in the top corner. 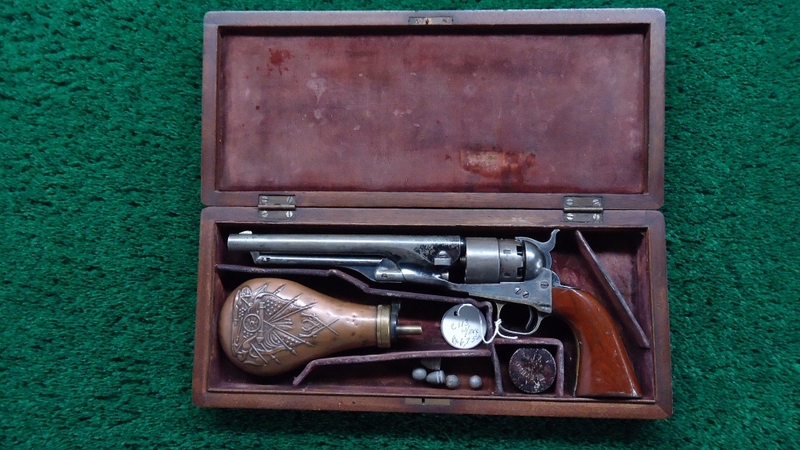 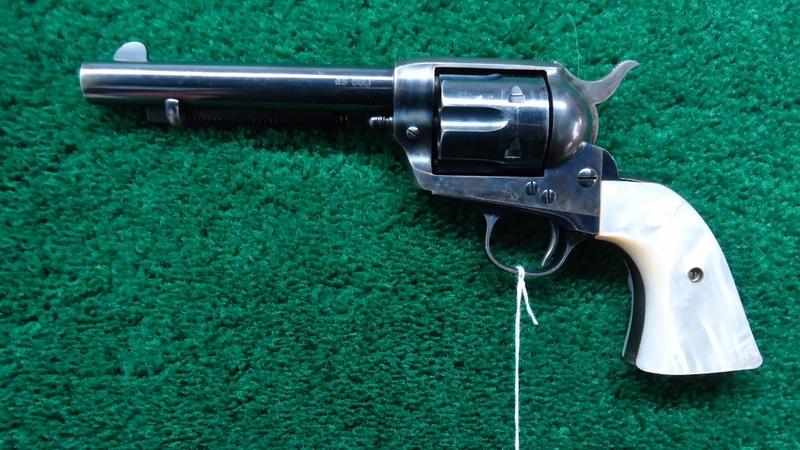 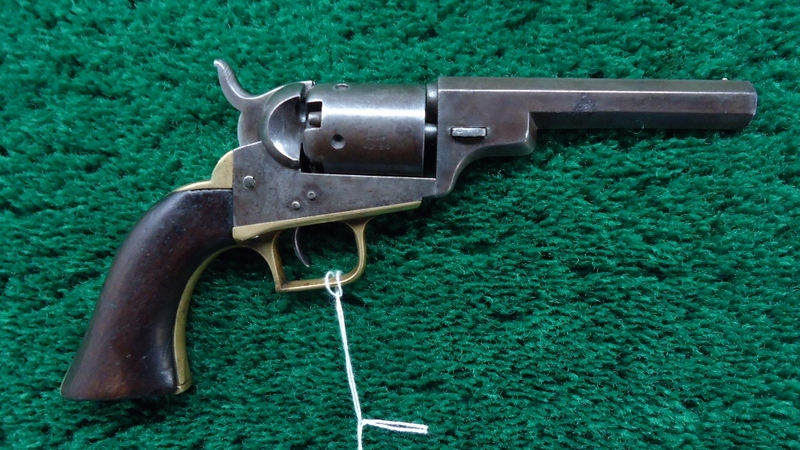 This classic Colt was built in 1908.